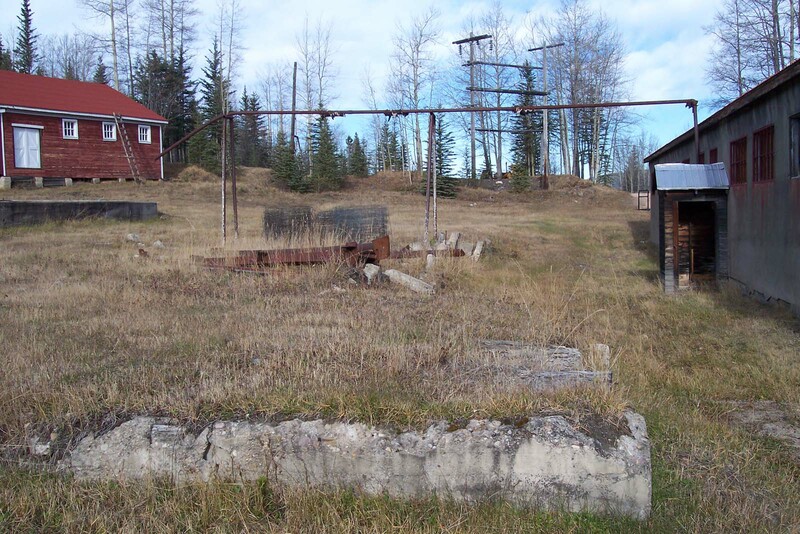 BRAZEAU COLLIERIES –A National Historic site. Weather Conditions: Daytime was +12.8 °C for a high, at night it was -3°C. Winds were on and off all day and into the night. Moon was at 89%. The sky had cloud cover in the day, clear at night. There is no water or power anywhere on the minesite. There is one porta-potty. Aaaah!!!! Equipment on hand: NexxTech 2.4GHz wireless infrared security cameras recording with a VCRs, Sony DSR-PD150 Digital Camcorder, Sony DCR-HC20 NTSC w/Nightshot Plus, Kodak EasyShare DX4530 5.0MP Digital Camera plus Kodak 3.1MP digital camera, Nikon & Canon 35mm cameras, Raytek Digital Thermometer, Gauss EMF Meter, Night Owl NODS3 Night Vision Monocular, Panasonic RR-US360 Digital Recorder, GE3-5377 Voice Recorder, flashlights, walkietalkies, rented generator, notepads, pens and few other misc. gadgets and accessories. On Halloween, 1941, (creepy, right?) a huge explosion happened in the mineshaft, killing 29 miners. Nine years later, a fire destroyed the coal plant. The mines finally shut down in 1955 because of the conversion from coal to fuel/electricity for the average homeowner. We arrived in Nordegg at approximately 2:30 pm, Tuesday the 11th of October. We called Barry Mintenko on his cell phone (403-845-9159) and he met us at the gas station outside the Nordegg Hotel. We followed him up to the mine site where he opened the gate for us and proceeded to take us on a tour of the site which covers a large area. Barry has worked at Nordegg for 15 years. He had an experience his first year that has stuck clearly in his mind: He was at the mine site and it was starting to snow but the snow wasn’t accumulating on the ground yet. He observed the door to the Hoist House was closed and securely latched from the outside. Upon looking back at the Hoist House he observed the door was wide open. Determined to find out what was going on he started to get out of his truck just as he got an emergency call requiring his services in the town of Nordegg. He got back into his truck and left the site, dealt with the problem and returned to the minesite within 15 minutes or so as the mystery of the Hoist House door was puzzling Barry. He observed the door was firmly closed and mysteriously re-latched. The snow by this time had time to settle on the ground. The snow blanketed the ground pristine and undisturbed, no footprints anywhere. Barry was the only living person on the site. Anyone closing and latching the Hoist House door would have had to do so from the outside yet there were no tracks in the snow. Nothing else has happened to Barry at the minesite since that time. (This might make a good story to reenact and Barry could probably be encouraged to participate in it so you wouldn’t need to use actors which may authenticate this story further). After Barry showed us the site, he left us and we proceeded to take daytime video footage and pictures of the area. There was some wind, but in the forested areas, it was pretty protected from wind. 3 of the buildings Rona entered managed to have their doors shut loudly behind her. There was hardly any wind at all outside at the time, plus there was a substantial surroundings of trees to block the wind. There were 2 separate times when she thought she could hear voices outside and, in fact, asked Ben if he was talking to her or someone else. Negative to both queries as we were the only living persons on the site. Looking at the impressive setup of the mining operation it wasn’t difficult to imagine it in full operation with the machinery rumbling, the noise, the dust, the workers and the horses toiling. After our scouting of the area, we decided to go into town, have supper and register at the hotel. We met Dennis Morley coming out of the restaurant and made an appointment to talk with him at breakfast the next day. We went back to the mine at approximately 7:30 pm. Because of the darkness and the danger with bears and cougars, Ben and I stayed together for the whole investigation. First we went to the No. 3 mine and set up the infrared security camera. Filming was difficult because of the range of the system. 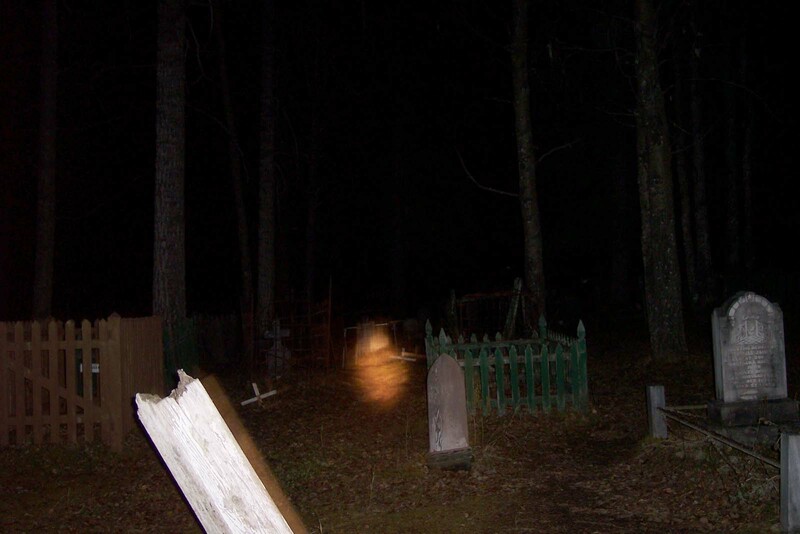 We came to the conclusion we were not going to get anything at that location; whether it was intuition or frustration, we thought the spirits didn’t want us at that location. Next, we went to the Wash House. 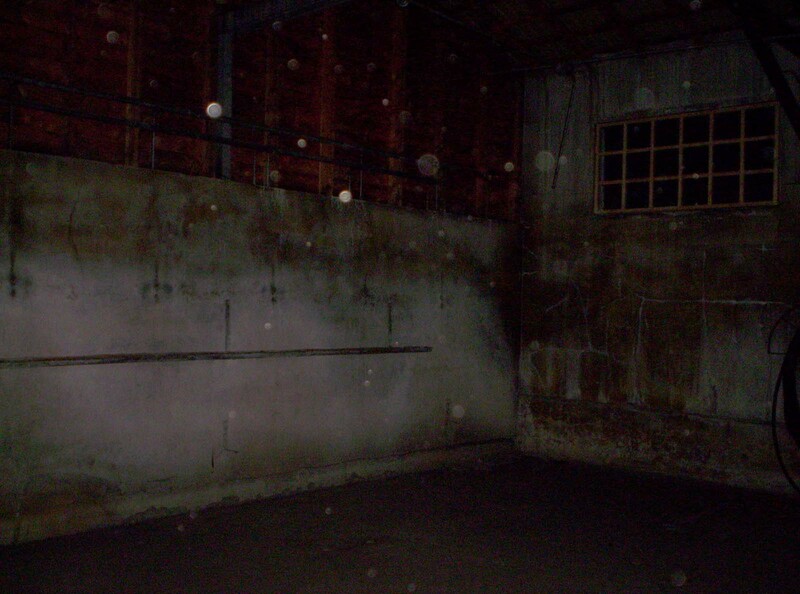 We managed to get some good activity with orbs captured on video there. 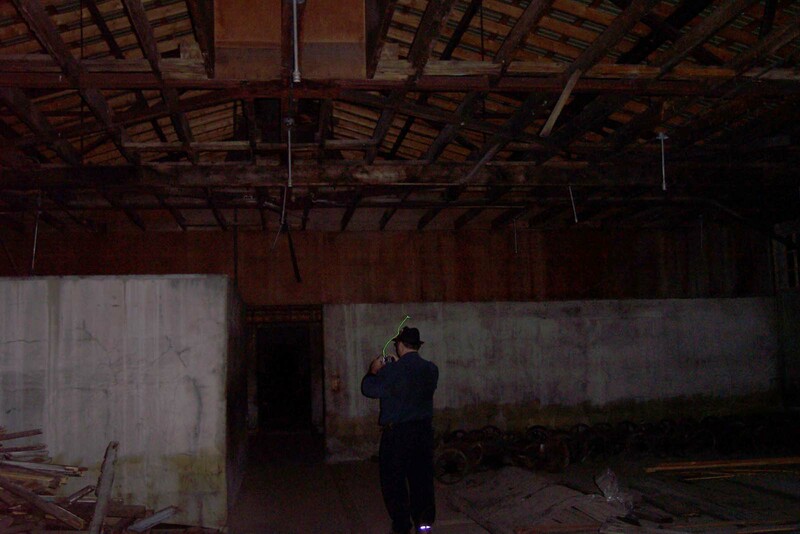 We both experienced a feeling of heaviness and doom in this building and the area around it. 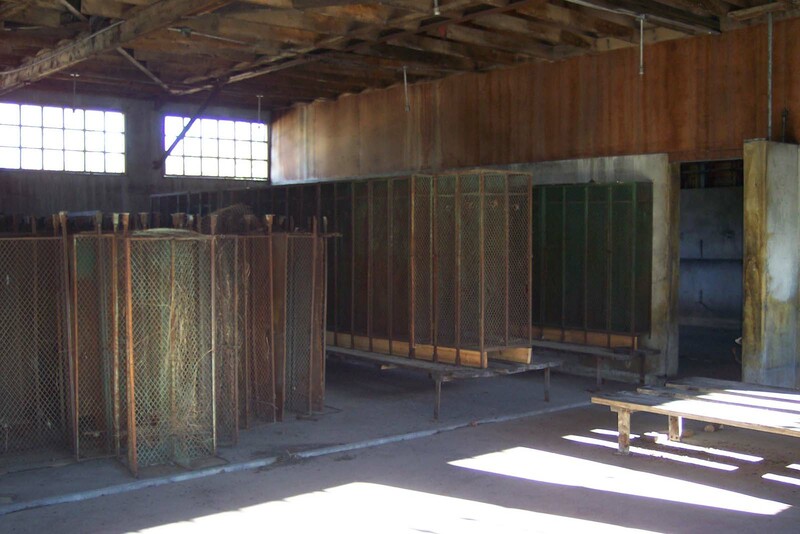 Although the bodies of the 29 miners who died in the mine explosion on October 31, 1941, were placed in the original Wash House (foundation still evident immediately to the west of existing Wash House) the current Wash House built in 1948 or 1949 does have some lost souls in attendance. We did some EVP recording in this area on Wednesday and got someone saying “Help Me” as well as a response of “Already Begun” when asked by Rona to give a name. The next place investigated was the pre-fab “Vancouver” houses. Nothing happened in that location. There is an old log house a little ways into the bush behind these pre-fabs but we didn’t do anything in this area other than film it during the day. 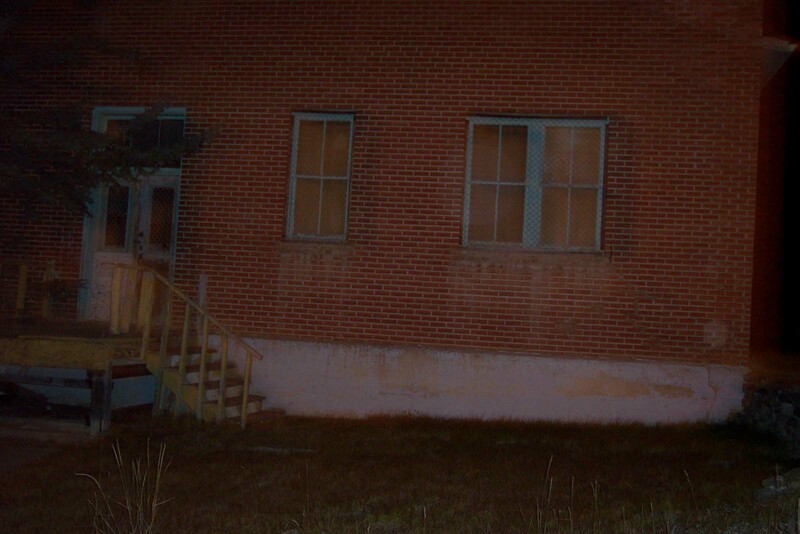 We moved on to the hoist house and got a few orbs there. 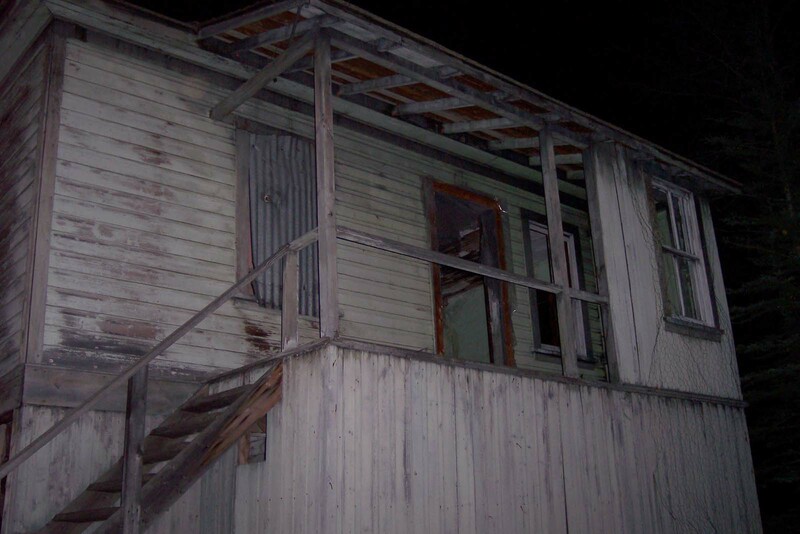 We then traveled down to the mine boss house and the duplex (first police quarters and jail) with no activity recorded there. The last stop was at the bottom of the processing area, where Ben managed to see the yellowy orange tail of a cougar as it disappeared into an open metal clad runway. We didn’t have much success with the investigative equipment in this area but couldn’t shake a feeling of being watch either. We packed everything up around 1:30AM Wednesday and left the minesite. We stopped at the ghost town area of Nordegg and took some photographs with digital cameras. We stopped at the Nordegg Cemetery and took pictures there as well. In the morning we met Dennis for breakfast. Dennis said one horse pulled 9 loaded coal cars with approximately 2300 pounds on each car. When we commented that was a lot of weight Dennis said it was initially tough to get going but wasn’t bad after that as the cars were on rails. Dennis began working at the mine when he was 17 (they wouldn’t hire anyone younger than that) following in his father’s footsteps, was working the day of the mine explosion and spent the whole day running from the tag shack to the #3 mine entrance with fresh lanterns. The only thing we were surprised about was he told us the wash house we were in the previous evening was not the one they originally laid out the miner’s bodies in. The original is the ruins beside it. Dennis had indicated some of the present day mine entrances were not the original ones and we wanted to go to the locations of the ORIGINAL mine entrances with him. We’d still like that information so we could check out those locations because we feel some evidence could be found and recorded of the residual energy left by the miners, both of those who perished in the explosion and the ones that survived. After breakfast with Dennis we went back up to the minesite around 9:45 AM, did EVPs in the Wash House, took more photographs, set up and took more footage with the infrared as well as the PD150, checked out some of the roads on the site. Other than the EVPs we weren’t getting many results. 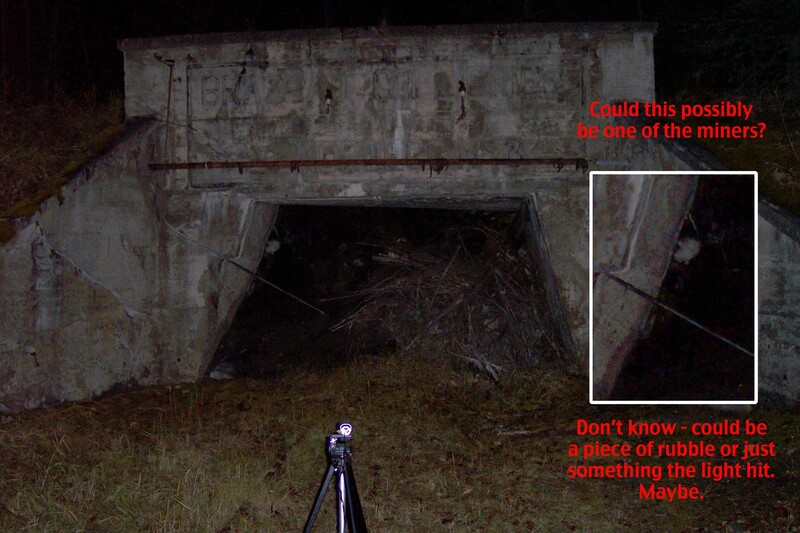 An area we should have checked out is another Hoist House we found on Wednesday as well as the Tag House or Shack. 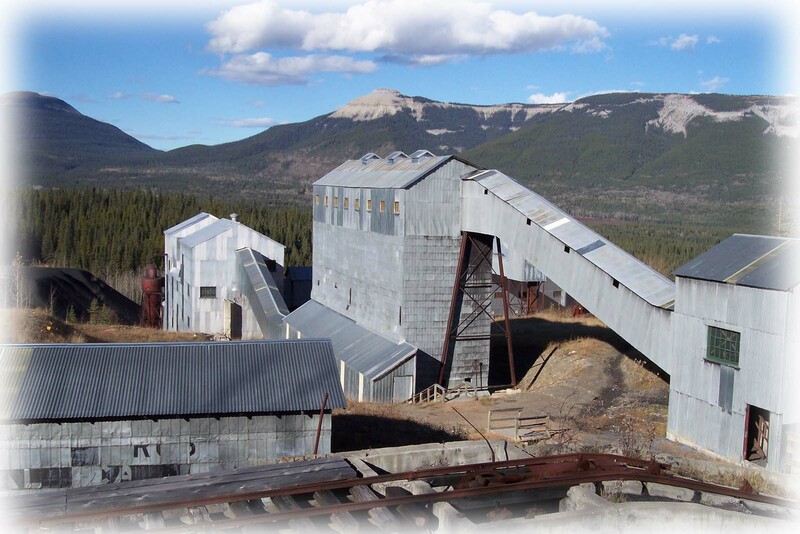 We went back to Nordegg Mines to shoot an episode with Creepy Canada on October 29th, 2005. It was bitterly cold when the sun set and our portion of the filming didn’t happen until approximately 3 am. For some reason, the sound man was having trouble getting sound from our mikes after hooking us up. (The same thing happened to us in Lac La Biche also). In the Museum, we managed to get some footage of orbs flying out of the upstairs washroom where a young boy had claimed to see a dead miner at the sink. Note: Dennis Morley unfortunately passed on in the Spring of 2006.